There is no end to the criticism the Association of Malayalam Movie Artists (AMMA) has been receiving over its decision to reinstate actor Dileep, an accused in the February 2017 actress abduction case, into the organisation. 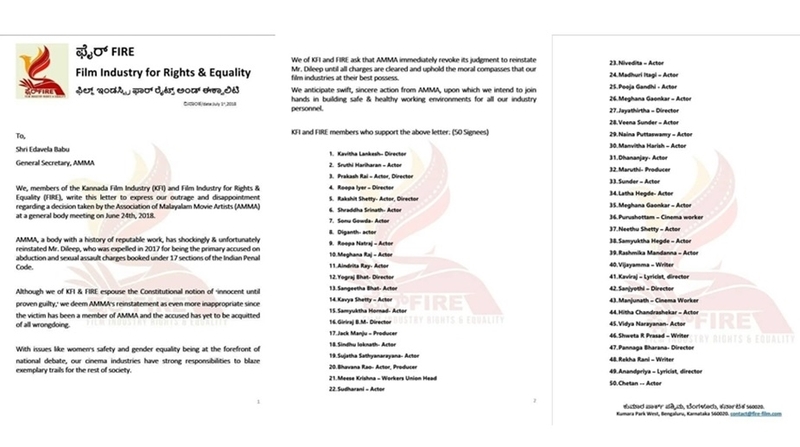 Members of the Kannada Film Industry (KFI) and the Film Industry for Rights & Equality (FIRE) have now written to AMMA expressing their discontent over the move. Addressed to newly elected AMMA general secretary Edavela Babu, the letter signed by 50 prominent members of the Kannada film industry calls the decision to revoke the suspension of Dileep’s membership “shocking, unfortunate and inappropriate”. “Although we of KFI and FIRE espouse the Constitutional notion of ‘innocent until proven guilty,’ we deem AMMA’s reinstatement as even more inappropriate since the victim has been a member of AMMA and the accused has yet to be acquitted of all wrongdoing,” reads the letter. “With issues like women’s safety and gender equality being at the forefront of national debate, our cinema industries have strong responsibilities to blaze exemplary trails for the rest of society,” it adds. 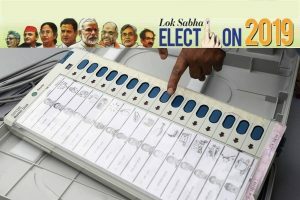 The letter has the signatures of Kavitha Lankesh, Prakash Raj, Rakhsit Shetty, Sruthi Hariharan, Shraddha Srinath, and Yogaraj Bhat among others. It asks Malayalam movie artistes’ body to withdraw its decision on Dileep. Superstar Mohanlal is the president of AMMA. The actress who was abducted allegedly at the behest of Dileep and sexually assaulted by perpetrators of the crime was a also member of AMMA, but she resigned along with three leading Kerala actresses last week over the organisation’s decision on Dileep. She is also a popular face in Kannada films. The KFI move comes after Mohanlal issued a statement from London justifying the association’s position. The statement said the decision to reinstate Dileep was taken unanimously by all the members present on the annual general body meeting held on 24 June. “We wholeheartedly accept the criticism being raised against the move. Some members who were not part of the annual general body meeting have announced their intention to leave the association. The AMMA leadership is willing to look at the sentiments behind this move,” he said in the letter. 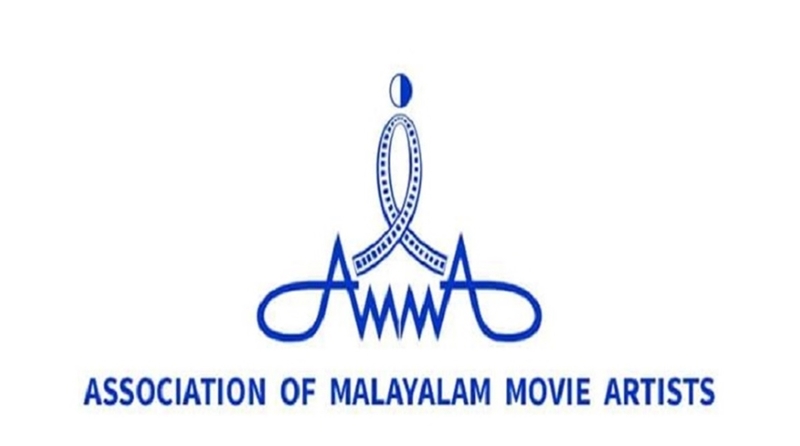 Nearly 100 actors, directors and technicians from the Malayalam film fraternity have issued a letter with their signatures demanding that the elected representatives of AMMA step down. Kollam MLA Mukesh Kumar, Pathanapuram MLA Ganesh Kumar and Left MP Innocent, former AMMA president, hold top positions in the current AMMA executive committee. Dileep has meanwhile said he would not return to AMMA until he comes clean in the case.